Tighten skin that has lost elasticity due to aging. Note: Even though there can be very effective skin tightening and thickening with laser resurfacing, if the skin is extremely loose, another procedure such as a Facelift may be more appropriate. This would be explained by Dr. Sacks at your FREE consultation. 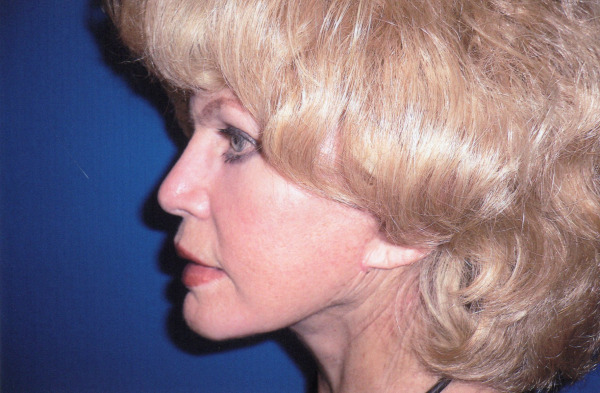 Sometimes both a Facelift and Laser resurfacing would produce the very best results. Lines around the mouth and lips are very well treated by Laser resurfacing. First, the face is cleansed of oils in order to prepare for the laser procedure, and then the skin is further cleansed with an antibiotic solution. 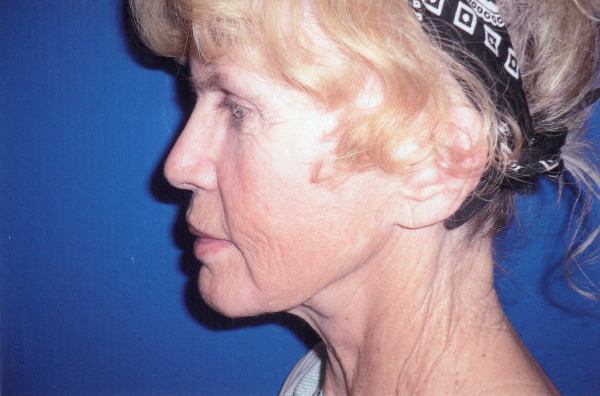 The laser is then used to remove the very top layers of the skin with a computer controlled laser until the appropriate depth of skin is reached. This procedure is commonly performed with both a local anesthetic and with sedation so that the patient is comfortable. Vaseline which is very non allergenic is applied for after the procedure and for many days afterwards. It keeps the protein 'crust' which exudes from the skin after the procedure moist, so that after a few days this 'crust' or exudate is easily removed. Generally, post-operative instructions call for plenty of rest and limited movement in order to speed up the healing process and recovery time. Antibiotic ointment may be applied to the affected area following surgery in order to aid with the healing process, to minimize swelling, and to control the risk of infection. The skin will be red and may ooze. Some discomfort should also be expected. Any pain associated with the surgery can be treated with oral medication by Dr. Sacks. While complications are rare, patients can minimize potential problems by carefully following the post-operative directions. Recovery time varies with the extent of the resurfacing and the number of procedures completed. Redness - When the 'crust' has subsided, the underlying skin will be pinkish - red which will fade over a few weeks and can be camouflaged with makeup if desired. Infection - The chance of this is low as Dr. Sacks will prescribe two different kinds of antibiotics starting the day before the laser resurfacing and continuing after the procedure for a few more days. The first type of medication is for bacteria and the second type of medication is against viruses so that even if for example the patient had herpes and it was not evident, the chance of this being a problem would be avoided. Tightness - As the skin of the face heals a feeling of tightness may be experienced as in fact the skin is tightened. Any sense of discomfort with this will subside. Blotchiness - This is unusual and is prevented by the skin treatment prescribed by Dr. Sacks for a few weeks before the laser resurfacing and by STAYING OUT OF THE SUN after the procedure.